We have very sad news today of the loss of one of astronomy’s great promoters in the Midwest: planetarium expert and astronomy enthusiast John Schroer of Detroit. John died this week at the age of just 57. 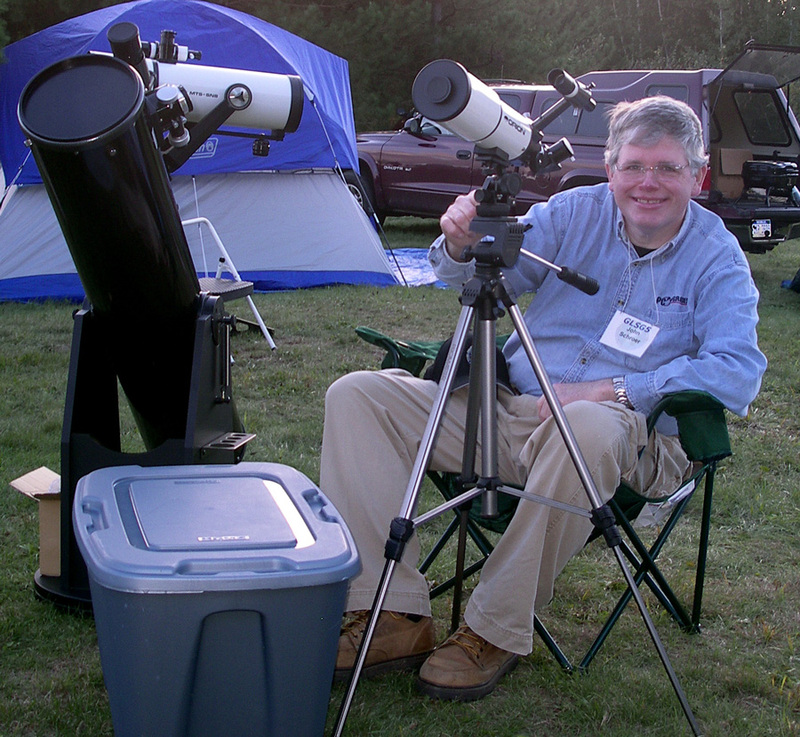 John Schroer was a beloved member of the Ford Amateur Astronomy Club in Dearborn, Michigan, who died of complications of his longstanding diabetes this month. John was an enthusiastic amateur astronomer. He also belonged to the Warren club and the Astronomical League. He was one of the major contributors to planning and executing our huge Astronomy At The Beach event every year. Professionally, he was the planetarium education director at the Detroit Science Center (now the Michigan Science Center). He was a past president of the Great Lakes Planetarium Association. He worked with Marty Kunz on radio station astronomy.fm. John was an amateur radio operator and used his call letters KA8GRH in his email address. He was a computer enthusiast ever since he got his first TRS-80 and never threw away any of his old computers. He loved music and kept it in all formats old and new, from LPs through MP3s. John was a wonderful friend to me and a great help in teaching me about astronomy. He made it possible for me to go to the Great Lakes Star Gaze every year because he would do the driving while I could not drive that distance alone. He encouraged me to become active at Astronomy At The Beach every year and showed me what fun it is to engage with the public at that event. I will always miss him, but especially when I no longer see him at those two annual events, GLSG and AATB.